Eight time #1 Jostens sales office in the US. Rhodes Graduation Services is a family-owned and operated business that has been representing Jostens since 1975. With more than 40 staff members and four office locations across South Carolina and Florida, Rhodes is the largest Jostens representative in the U.S., providing rings and graduation supplies to more than 35,000 students annually. We love celebrating your achievements while providing products for you to commemorate the occasion. School administrators, click here to get started. Our customers are the foundation of everything we do and everything we hope to achieve. Without them, we are nothing. We have a sacred obligation to be advocates for our customers as they celebrate their momentous achievements. We will make a lasting impression on everyone through our selfless service and our abundant smiles. We will improve the communities in which we are fortunate to work with our ceaseless dedication to supporting their mission. As a family-owned and operated business, Rhodes Graduation Services is focused on continuity. Our long-term vision guides our mission and day-to-day business practices. Our intrinsic family values are at the forefront of every decision we make. When schools partner with Rhodes, they benefit from our focus on values and forward-thinking strategies. Rhodes takes great pride in our contributions to our partner schools and the educational communities in which we operate. In addition to resources and time, Rhodes has invested more than $1 million through scholarships, donations, sponsorships and partnerships with our clients. 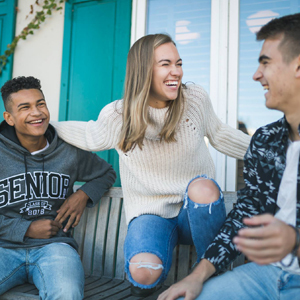 The superior quality and recognition of the Jostens brand, combined with our personalized account management and exceptional customer service makes us the number one choice for students in our area. Rhodes is more than just a supplier of class rings and graduation products: we are a true partner to each of our clients, building sustainable relationships and demonstrating a solid commitment to the students we serve.